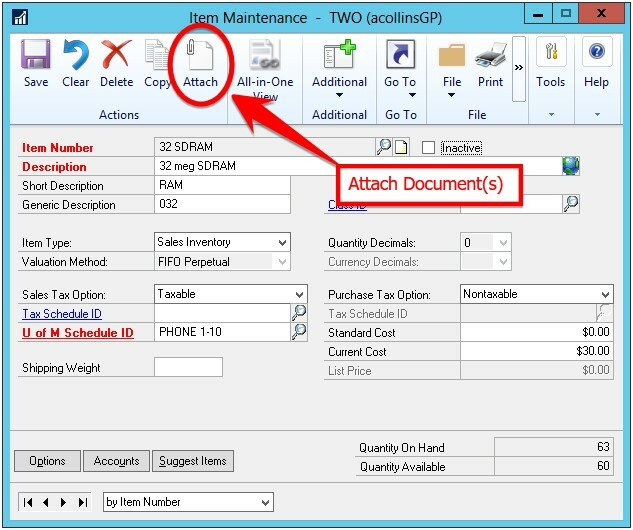 As you may already know, Microsoft Dynamics GP allows the attaching of documents and images to some Master Records and Transactions — this includes Item Numbers in the Inventory module. So, this got me wondering if there was any way an image attached to an Item Number could be used and printed on your Dynamics GP SSRS Reports. Turns out, there is! And it is a great way to add some life to your SSRS Reports or to help warehouse personnel know exactly what they are looking for during stock counts. Make sure there actually is an image attached to any of your Item Numbers that should have images printed. To this, you will click on the “Attach” icon at the top of the Item Maintenance window. Once you select the image you’d like to attach, you should see the image file under “File Attachments” with a check mark in the “Active” column as shown below. 2. Create basic (or more advanced) Dynamics GP SSRS Reports and include an image somewhere on the report. In this example, it is on the line level so the specific image for each Item Number will be printed. To attach the image to the Item Number, view the properties of the image in the SSRS Report by clicking on the icon circled below. 3. In the Image Properties window, click on the drop down under “Select the image source” and select “Database”. Then change the “Use this field” drop down to “[FileBlob]” and the “Use this MIME type” to “[FileType]”. You will want to make sure that these values are set up as they are in the example below. 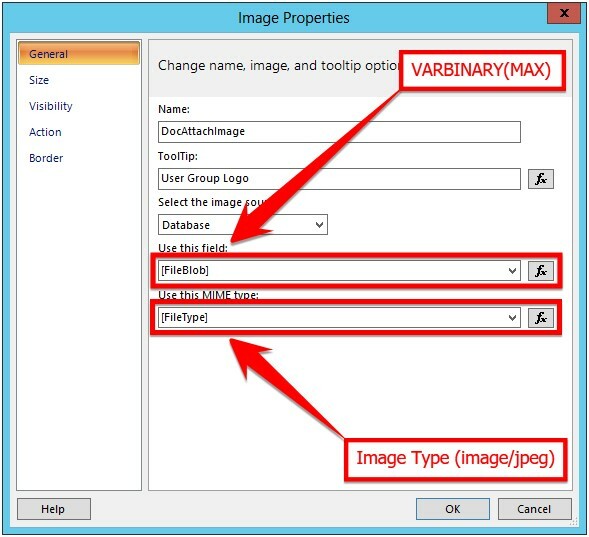 At this point, it is important to note how Document Attachments are stored in the Microsoft Dynamics GP database itself — the image is converted to a VARBINARY(MAX) data type, and the type of image is stored as well. These fields will need to be returned in the SQL Query that is being used to build the SSRS Report. 4. View your new Dynamics GP SSRS Report. 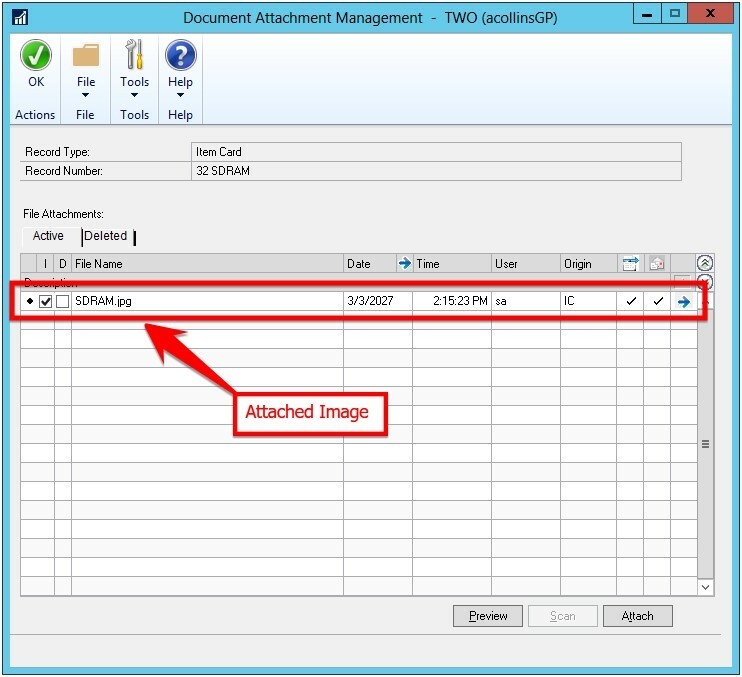 You’ll notice that the Item Images are showing the document you’ve attached in Microsoft Dynamics GP using the Document Attach feature. If you have questions about attaching documents to Dynamics GP SSRS reports, or other Dynamics GP features, get in touch with our Dynamics GP consultant.